Pink Kush by Barney's Farm is a superb and highly valued relative of OG Kush that visually challenges reality with its stunning pink and purple tones. Its flowers are dense and will shine in bright light with trichomes in less than 70 days. High level disinfectant for all types of washable surfaces. Quick drying hydroalcoholic solution and does not need rinsing.750 ml container with spray. Hydroalcoholic gel for hand disinfection. Package of 75 ml. Active against viruses, fungi and bacteria. The flowers loaded with trichomes produced by Ayahuasca Purple have an impressive THC level of 21%.Ayahuasca Purple cannabis seeds from Barney's Farm are a Indica-dominant cannabis strain born from the cross between Mater Kush and Red River Delta. It is a very colorful and original variety that will surprise very positively the lovers of marijuana. 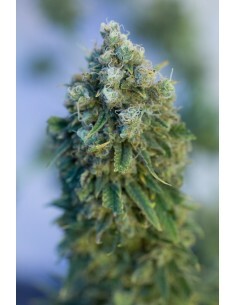 The first “CBD-pure” cannabis strain from Sweet Seeds, with very low levels of THC, generally under 1%, and high levels of Cannabidiol (CBD), specially designed to satisfy the needs of therapeutic cannabis users who prefer to avoid the psychoactive effects of THC. Jack 47 XL auto is another of the automatic high-cut of Sweet Seeds, a larger and more productive plant.The final result of this selection is an autoflowering 3rd generation dominance sativa, which is possibly one of the most powerful in the market, it is very easy to grow.